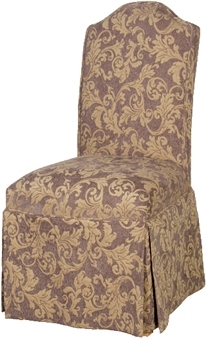 Our dining room seating range covers most styles. We have solid oak, fabric and leather ranges that will accompany any table. BROOKLYN OAK - LEON STYLE Dining chair with a leather seat HEIGHT 1040mm WIDTH 470mm DEPTH 430mm FREE DELIVERY WITHIN ENGLAND AND WALES. FOR SCOTLAND PLEASE CALL 01492 642224. Solid oak dining chair with a real leather seat. HEIGHT 1080mm WIDTH 470mm DEPTH 470mm FREE DELIVERY WITHIN ENGLAND AND WALES. FOR SCOTLAND PLEASE CALL 01492 642224. BROOKLYN OAK CHAIR WITH RUSH SEAT THE BROOKLYN RANGE IS MADE FROM 100% SOLID OAK AND IS FINISHED WITH TEAK OIL. HEIGHT 1080mm WIDTH 460mm FREE DELIVERY WITHIN ENGLAND AND WALES. FOR SCOTLAND CALL 01492 642224.